Change happens. The problem is that the nature of change has itself changed in recent decades. It was in the late 1980s that leadership and change guru Peter Vaill coined the phrase “permanent white water” to capture the essence of change in modern times. In his book, Learning as a Way of Being: Strategies for Survival in a World of Permanent White Water (Jossey-Bass, 1996), that both the pace and complexity of change have increased. Lots of surprises. There’s really no “safe place” where change won’t happen. Every time you turn around it feels as if some new change springs up, totally unexpected. Novelty. Because of the complex systems that the make up the economy and the many organizations in it, the problems that surprise you will often be never-before-seen problems. All those previous characteristics add up into problems that are expensive, both in terms of money and time, to tackle and solve. Never-ending. You’d like to think that after dealing with some kind of crazy change, you can sit back and say, “Whew! I’m glad we got through that. Now things will calm down.” Wrong! The next bend in the river of change has yet more rapids you weren’t expecting. It will never stop, and the sooner you come to terms with that the better. In the face of such permanent white water, many books have been written about managing change. 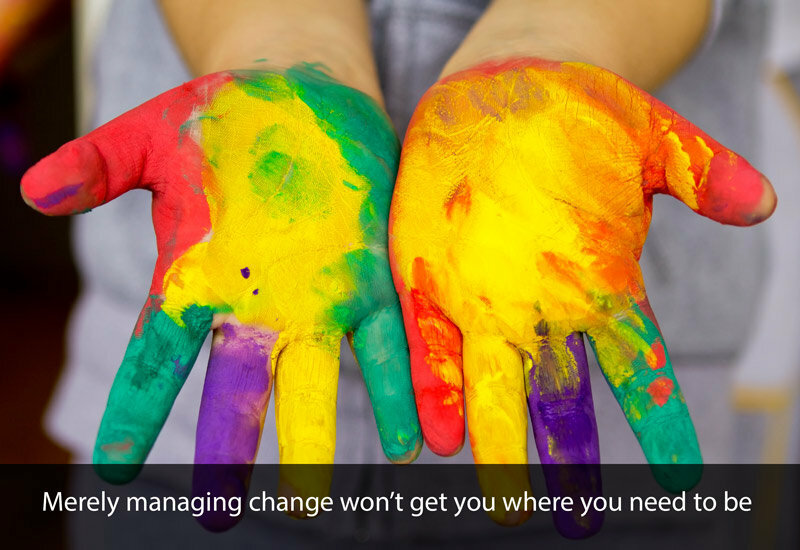 However, merely managing change won’t get you where you need to be. It’s time to move beyond change management and learn how to lead change. That leadership is inextricably bound to change is something many organizations and individual leaders have yet to take to heart. But as Brad Jackson and Ken Parry note in A Very Short, Fairly Interesting and Reasonably Cheap Book About Studying Leadership (Sage Publications, 2008), “If you do not aspire to change something and you don’t have a good reason for changing it, you cannot and should not lead.” That’s a pretty serious clarion call for leaders everywhere to lead change, not just try to manage it. 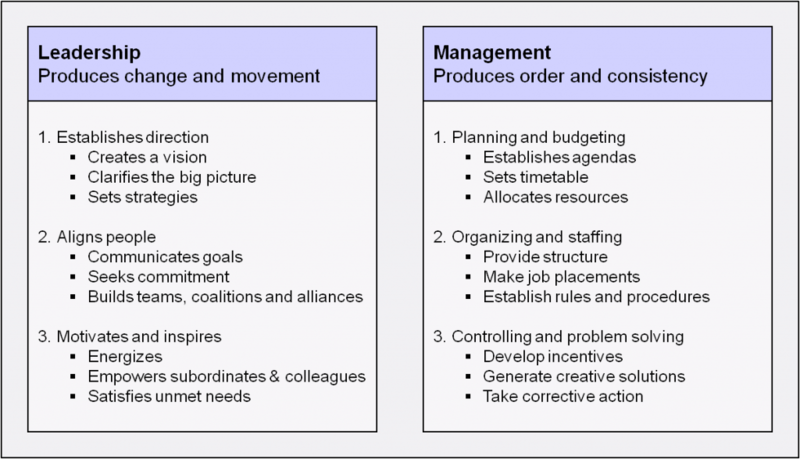 When faced with change, managers are reacting to it, whereas leaders are proactively shaping it. It’s a slightly different mindset that makes all the difference. And make no mistake, leaders need to learn how to do this – it may very well be the most critical leadership skill of all. This is why Vaill conceptualizes leadership as learning. He goes so far as to say that learning needs to become a way of being. This in turn means that the learning function in organizations must rise to the task of learning to lead change, and training others to do so as well. And so I ask you this: Does your learning department view itself as an agent of change? If so, does it see itself as effective in this? A recent study by the Association for Talent Development and i4cp revealed that just 17% of business and learning leaders could rate their learning functions as highly effective at providing change training. This is something that organizations cannot fail to address in the 21st century. Given the “permanent white water” nature of change today, learning professionals must themselves learn to lead change, and then disseminate the knowledge, expertise, and skills throughout the organization so that everyone can move beyond change management to proactively lead change.